I thought I'd spread some of the awesome DOYO energy and share some ideas your marketing may benefit from too! This feels important to mention because Josh and I were saying doi-oh, which exposed us as DOYO first-timers. Which was okay, because we had to out ourselves as noobs on Twitter anyway during the introductory talk from Dennis. As far as keynote speakers go, Allen was the best. His talk was titled “Learning the Art of Science and Creativity,” and it perfectly set the tone for the day. He challenged the way that we traditionally think of and speak about creativity, using a perfect blend of humor and science to convey his message. Anyone can be a creative genius, and anyone can have flashes of creative genius. No, really! While it has a little bit to do with IQ, the majority of the world’s population has potential to be a creative genius. This means that Kanye West, Steve Jobs, Elon Musk, or anyone else you’re inclined to think of as a creative genius has no inherent advantage over you. Creativity is based on consumption. Allen pointed out that the most successful creative geniuses are those who spent the majority of their lives consuming the work of other people in their fields. That includes JK Rowling reading books nonstop during her childhood, and chefs with three Michelin stars who ate the food of others for years. You can foster creative “a-ha!” moments by clearing your mind. If you’re experiencing a creative block, waiting for genius to strike, it’s time to take a walk and clear your left brain so your right brain can take over. Throughout the day we had the chance to enter to win Allen’s book, The Creative Curve, where he talks more in depth about all of the above points and others. We entered and did not win a copy, but I did order a copy on Amazon! Each speaker brought their own experience and expertise to their breakout session, so there were no bad choices when it came to selecting the tracks. After the sessions, a lot of the speakers made themselves available in the lobby for further questions -- a great way to get individualized tips and tricks on their topics. Jeff Leo Herrmann, from Madison, Michigan, and Market, gave some great tips about getting started with video marketing on LinkedIn for your business. Devyn Bellamy, a marketing expert from Bolt on Technology, shared one of the easiest ways to control your marketing budget. The emphasis placed on the location of the conference goes beyond the name. 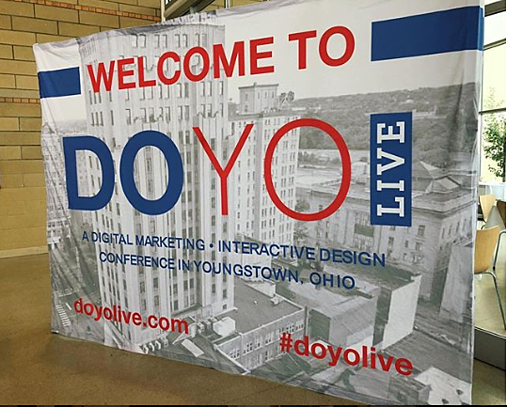 One thing that made DOYO so awesomely unique was sessions and events being spread across venues all over Youngstown. The heart of the conference took place at the DoYor Performing Arts Center. 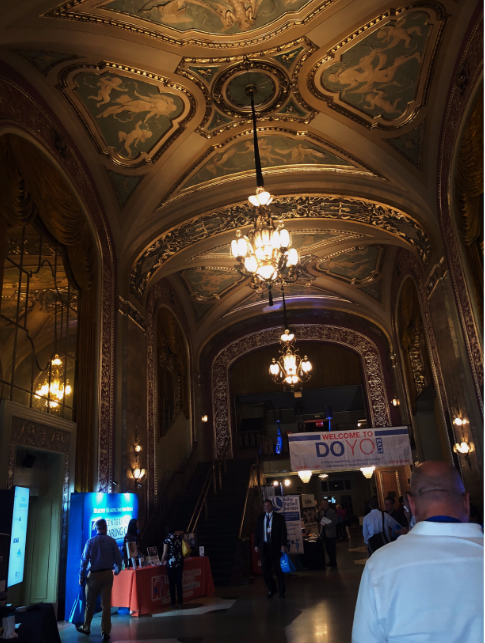 Registration, closing remarks, and half of the breakout sessions took place here, and as an out-of-area attendee, I couldn’t ask for a more beautiful venue. The other half of the breakout sessions took place just across the street, at the Tyler Museum of History. Being able to explore and learn in both venues was amazing. But keep this layout in mind if you’re attending next year and thinking about wearing heels! Exploring Youngstown went even further, with the Kickoff Party taking place at The Soap Gallery. This was a great place to get introduced to Youngstown while surrounded by beautiful art. The venue also lead to great networking conversations, since a lot of the attendees were local and eager to share Youngstown history. Now that we’re unpacked from Youngstown, we’re getting geared up for Inbound 2018 -- which is less than a month away! 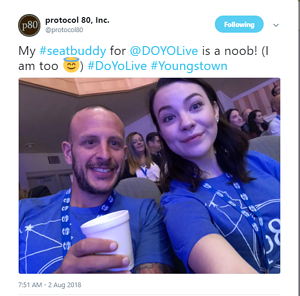 We’re excited to continue to enrich our digital marketing knowledge, and to see some familiar faces from DOYO in Boston next month. If you haven’t registered yet, it’s not too late!